Two investigational immunotherapy approaches, including chimeric antigen receptor (CAR) T cell therapy, have shown encouraging results in the treatment of multiple myeloma patients who had relapsed and were resistant to other therapies. Researchers from the University of Pennsylvania’s Abramson Cancer Center administered CAR T cells to patients following chemotherapy, with 64 percent of patients responding in a clinical trial. In a separate study, patients got an infusion of an experimental monoclonal antibody, which resulted in an overall response rate of 60 percent. Both of these investigational approaches targeted a receptor called B-Cell Maturation Antigen (BCMA), which is highly expressed in myeloma and thus a promising target for treatment. These studies will be presented as oral abstracts at the 59th Annual American Society of Hematology Meeting and Exposition in Atlanta. 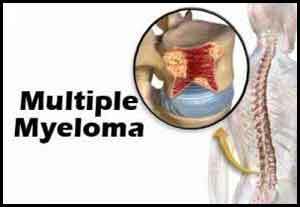 Multiple myeloma (MM) is a bone marrow cancer that affects plasma cells. Normal plasma cells work as part of the immune system, but in MM these cells become cancerous and grow out of control, leading to multiple painful bone tumors, as well as anemia, kidney failure, and recurrent infections. The American Cancer Society estimated there will be more than 30,200 new cases of MM in 2017. Standard treatments include chemotherapy and radiation and can include a stem cell transplant. The first study (Abstract #505) used CART-BCMA, a specifically engineered type of CAR T cell developed by Penn researchers in collaboration with Novartis as part of a global research and development alliance that began in 2012. The investigational treatment modifies patients’ own immune T cells, which are collected and reprogrammed to seek and destroy the patients’ cancer cells. After being infused back into patients’ bodies, these newly built “hunter” cells both multiply and attack, targeting cells that express BCMA. Patients were given a single dose of chemotherapy before the CART-BCMA infusion to temporarily clear out normal white blood cells and help the hunter cells to expand. Two dose levels of CART-BCMA cells were explored in a population of heavily-pretreated patients. These patients had a median of seven prior lines of therapy. In the clinical trial, the lower dosage group had five patients, two of whom (40 percent) achieved at least a minor response to the treatment (defined as 25 percent or greater reduction in myeloma protein levels). The higher dosage group had ten patients, and eight of those (80 percent) had a minor response or better, including one complete response. The trial is ongoing, with additional patients being treated at the higher dose group. Twelve of the 15 patients experienced cytokine-release syndrome, a toxicity that involves varying degrees of flu-like symptoms, with high fevers, nausea, and muscle pain, and can require ICU-level care. All patients recovered, with one requiring tocilizumab, a standard therapy for this side effect, and one receiving siltuximab, a similar cytokine-blocking drug. Three of the patients in the study experienced neurotoxicity, which resolved on its own. There were no treatment-related deaths. Michael C. Milone, MD, PhD, an associate professor of Pathology and Laboratory Medicine at Penn, was the study’s senior author. The study was supported by the Penn-Novartis alliance. Cohen is the senior author on a second study also targeting BCMA in MM (Abstract #741), in this case with an experimental drug called GSK2857916, for which the FDA granted a breakthrough therapy designation in early November to allow for expedited development. It links a chemotherapy drug called MMAF to a monoclonal antibody against BCMA, allowing for targeted delivery of the chemotherapy directly to the myeloma cancer cells in the bone marrow. In this first-in-human, multi-center trial, patients received an infusion every three weeks for up to 16 treatment cycles. The overall response rate was 60 percent (21 out of 35 patients), including 51 percent with very good partial responses – meaning more than a 90 percent reduction in myeloma protein levels. The median progression-free survival was about eight months. Cohen noted 57 percent of patients in this trial had undergone five prior lines of therapy or more. There was significant eye toxicity associated with this treatment, including dry eye, blurry vision, and light sensitivity in 63 percent of patients. Cohen said these effects were caused by the chemotherapy portion of the drug. They were mild in most patients and improved with eye drops. These patients held treatment and restarted at a lower dose once the toxicity resolved. Cohen says Penn will continue research related to this compound. There is a larger study planned around the treatment, as well as a study evaluating this drug in combination with other therapies.